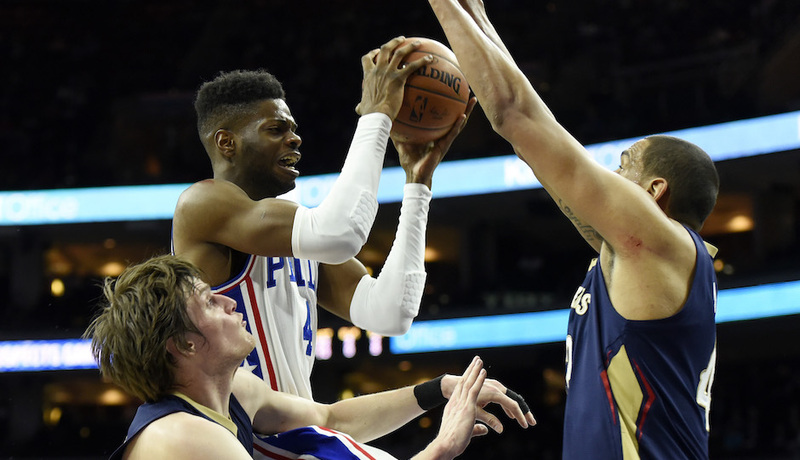 Victory over Pelicans ensures they won't tie record for worst 82-game season. By Joel Mathis·	 4/6/2016, 6:24 a.m.
It’s not quite the NBA equivalent of Villanova’s national championship — even if Sixers.com tried to lump the two events together — but it’ll have to do. Not exactly a Gatorade-splashing moment — they’re still 59 games in the win column behind the league-leading Golden State Warriors — but satisfying nonetheless. The Sixers were led by Carl Landry’s 22 points — a feat that earned him “MVP” chants from the crowd by game’s end, ESPN reported.